We don't have any trips to Cuba at the moment . Because of its Latin character, Cuba is an island full of life with a calendar overflowing with festivals, parties and events throughout the year. Some of them, such as pilgrimages, charangas or Carnivals, are examples of their more traditional folklore that has been preserved over time attracting visitors from all over the world. In most of the festivities, music, dances and the happiness of its people are paramount. 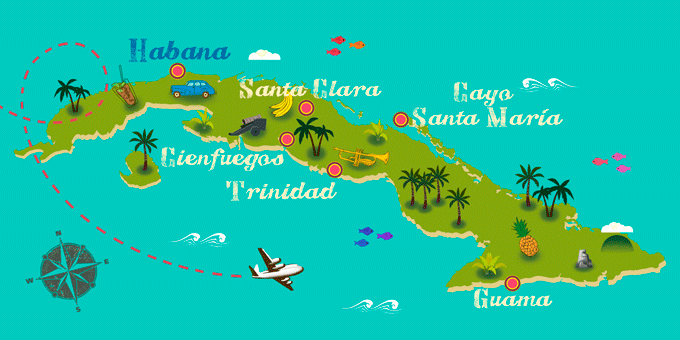 If Cuba has caught your attention, leave us your number so we can call you to discuss the voyage that awaits you.